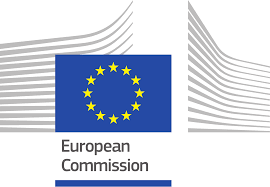 This follows the calls by the European Council (Article 50) in November and December 2018 to intensify preparedness work at all levels, and the adoption on 19 December 2018 of the Commission's Contingency Action Plan, including several legislative measures, and last week's contingency proposals for EU fisheries. They are in addition to the extensive preparedness work that the Commission has been engaged in since December 2017, as set out in previous preparedness Communications. It is important to note that these measures will not – and cannot – mitigate the overall impact of a "no-deal" scenario, nor do they in any way compensate for the lack of preparedness or replicate the full benefits of EU membership or the favourable terms of any transition period, as provided for in the Withdrawal Agreement. Today's proposals are temporary in nature, limited in scope and will be adopted unilaterally by the EU. They take into account discussions with Member States. The Commission will continue to support Member States in their preparedness work and has intensified its efforts, for example by organising visits to all EU27 capitals. Erasmus+ is one of the EU's flagship programmes. On 30 March, there will be 14,000 young people from the EU27 (including students, trainees in higher education and vocational education and training, youth learners, and educational staff) in the United Kingdom thanks to the Erasmus+ programme and 7,000 such UK participants in the EU27. In a “no-deal” scenario, they would not be able to complete their Erasmus+ term and may no longer be eligible for grants. Today's proposal aims to remedy this by ensuring that in such a scenario, students and trainees abroad participating in Erasmus+ at the time of the UK's withdrawal can complete their studies and continue to receive the relevant funding or grants. The Commission has consistently made clear that the rights of EU citizens in the United Kingdom and UK nationals in the EU are our priority. They should not pay the price for Brexit. Today's proposal aims to ensure that in a “no-deal” scenario, the entitlements of those people who exercised their right to free movement before the UK's withdrawal are safeguarded. These entitlements include periods of insurance, (self) employment or residence in the United Kingdom before withdrawal. For example, this means that if an EU27 citizen worked for 10 years in the United Kingdom before Brexit, this period should be taken into account when his/her pension rights are calculated by the competent authorities in the EU Member State where he/she retires. The proposed Regulation ensures that Member States continue applying the core principles of EU social security coordination, namely the principles of equality of treatment, assimilation and aggregation. Today's proposal by no means replicates the significant advantages of the Withdrawal Agreement, as agreed in 14 November. It does not cover rights accumulated after 29 March 2019, nor does it coverthe exportability of cash benefits, the continuous provision of sickness benefits in kind and the rules on applicable legislation. Today's proposal enables the EU to be in a position, in a “no-deal” scenario, to honour its commitments and to continue making payments in 2019 to UK beneficiaries for contracts signed and decisions made before 30 March 2019, on condition that the UK honours its obligations under the 2019 budget and that it accepts the necessary audit checks and controls. This would help mitigate the significant impact of a “no-deal” scenario for a wide range of areas that receive EU funding, such as research, innovation or agriculture. Over the past year, the Commission has published 88 sector-specific preparedness notices to inform the public about the consequences of the UK's withdrawal in the absence of any Withdrawal Agreement. They are available in all official EU languages. With today's proposals, the Commission has now made 18 legislative proposals in the context of its Brexit preparedness and contingency work. The Commission has also held technical discussions with the EU27 Member States both on general issues of preparedness and on specific sectorial, legal and administrative preparedness steps. The slides used in these technical seminars are available online. The Commission has also begun visiting the 27 EU Member States to make sure national contingency planning is on track and provide any necessary clarifications on the preparedness process.